The 2018 Mitsubishi Outlander PHEV is unlike anything you’ve ever seen from the Mitsubishi brand. This intelligent and eco-friendly SUV is great for those who truly love the outdoors. Not only does this SUV come with seating for up to five people and plenty of space for cargo, but it also has an intelligent plug-in hybrid design that delivers up to 74 MPGe*. According to Mitsubishi, the new Outlander PHEV technology includes a DC Quick Charging system to cut down on charge time. Charging at CHAdeMO public charging stations, you can go from empty to 80% charged in just 25 minutes. The Outlander PHEV II app lets you connect your vehicle to your smartphone to find the most efficient charge times, and the PHEV system can automatically toggle between hybrid and all-electric models to save on gas. How does this Plug-In Hybrid Vehicle (PHEV) work? An all-new Twin Electric Motor system pairs with a powerful engine to optimize performance while saving on gas. Combining electric power with gasoline power saves you money at the pump and cuts back on emissions, yet it also provides impressive range and capabilities. Plus, with Super All-Wheel Control, the Outlander PHEV is great for harsh terrain. 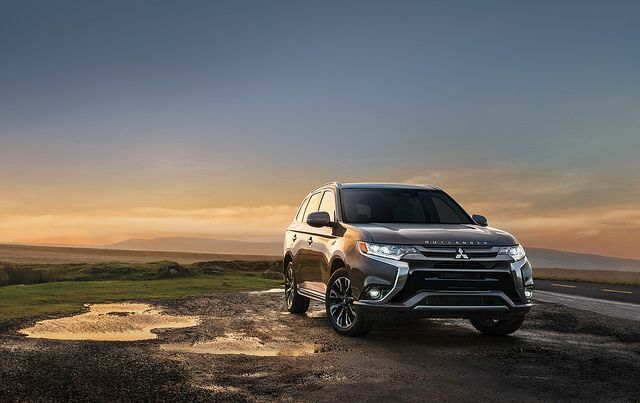 Learn more about the Outlander PHEV or PHEV technology at Don Robinson Mitsubishi. If you want to go green without breaking the bank, the Outlander PHEV may be an ideal option for you.